This Holiday Crib has three bedrooms, a modern kitchen and a great log fire which makes your holiday enjoyable and fun. A large Section for kids to get out and play, and enjoy the local weather. 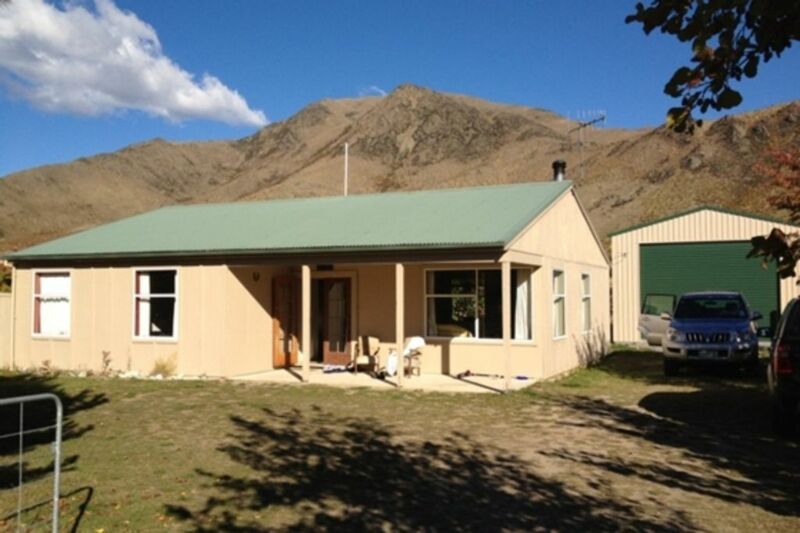 The crib is central and among beautiful scenery and plenty of activities which include; Walks, Four Wheel driving tracks, Skiing at Ohau, Hot tubs, The Gliding Capital of the world, under an hour drive to Mount Cook. There are plenty of places to Water Skiing and fish; you have options from Rivers and Lakes. There is Lake Benmore, Lake Ohau, Lake Middleton (Great swimming Lake for the kids in the summer) Lake Aviemore and more. The night skies are just fantastic!! The Crib is private and quiet you will find it hard to leave. Great place and fantastic location. Great place and fantastic location. Can’t wait to go back. We loved this place. The ultimate Kiwi holiday retreat. Great batch with fenced section for the kids. Great batch with fenced section for the kids. Lots of card games etc to play so we were never without something to do. Good location. !